The average day in the life of a chef involves more than just cooking. 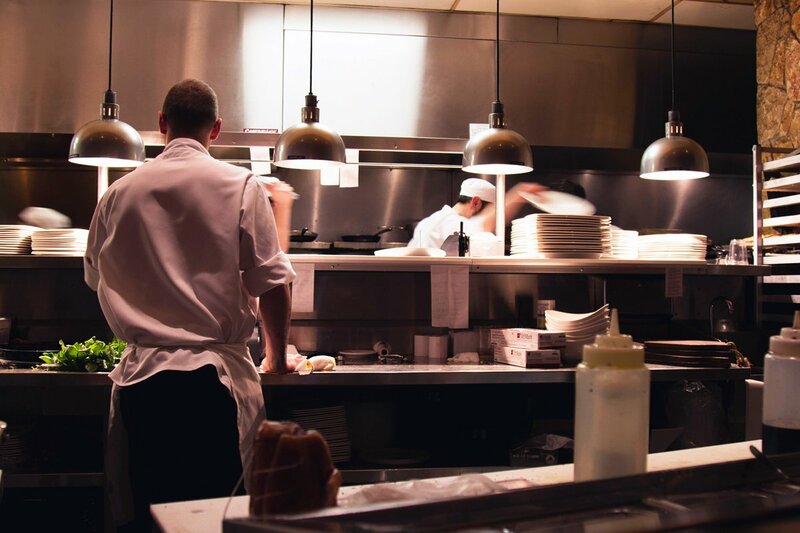 Many chefs play an integral role in the inventory, preparation and management of high-end restaurants. Let’s take a walk through a typical day in the life of a chef. Starting times differ according to the establishment. Former Le Cordon Bleu Australia lecturer Dennis Leslie began his working days as the executive sous chef of the Adelaide Oval at around nine in the morning. Meanwhile, it was a seven o'clock start for recent alumnus Matthew Puguh, who enjoyed a stagiaire placement at the world-famous Noma in 2017. The first task of the morning is usually inventory, with much of the day's ingredients arriving fresh in the morning. Produce needs to be counted, checked for quality and appropriately stored and labelled. The bulk of the morning will generally be occupied by the mise en place. This French term, meaning "everything in its place", refers to the extensive preparation of ingredients before service. Mise en place can include cleaning and cutting vegetables, making sauces and portioning cuts of meat. Stagiaire will generally be responsible for a lot of this, with supervision from the sous chef. After mise en place is complete, many kitchen staff may eat together and the chef has an opportunity to trial new menu items. Before service, a briefing will take place to ensure the front of house and kitchen staff are across everything. This is the perfect opportunity for chefs to talk to wait staff regarding daily specials and particular customer enquiries. Meanwhile, the maître d' may identify important bookings and dietary needs to be accounted for. During the service, a chef will lead supervise kitchen staff and often assist any areas of the team that may be lagging behind. Following lunch, kitchen staff will roll up their sleeves and get stuck into post-service cleaning and dinner preparation. The dinner service is often the busiest time of day, so there's a great need to ensure everything is ready to go before it starts. Head culinary chefs will spend the time before dinner delegating key menu items and overseeing mise en place. 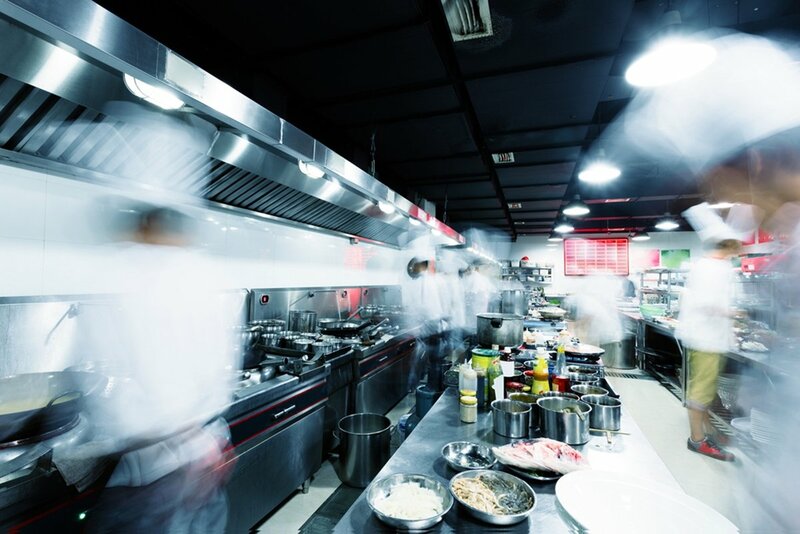 Throughout the course of the dinner service, chefs will find their roles vary significantly as they coordinate kitchen staff, oversee quality and production speeds and assist with cooking. Service can end as late as 11pm for most restaurants. At this point, staff will work on deep cleaning the kitchen ahead of the next day's service. Some preparation may be done for the next day, such as beginning slow roasts or marination. A head chef will often spend this time reviewing the next day's menu and placing beverage and produce orders before finishing for the night. Find out how you can experience the life of a high-end chef by applying for a Le Cordon Bleu culinary course today.